Outfit your kitchen with the latest equipment and gadgets from H&M. 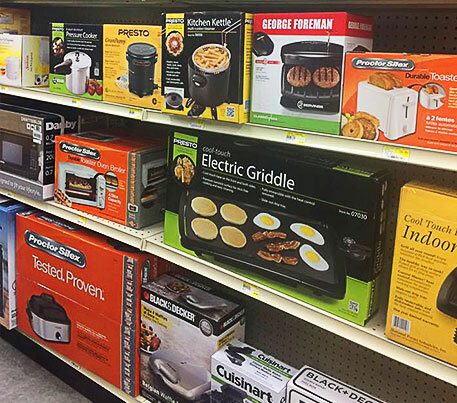 We carry everything from coffee pots to canning supplies at prices you'll love. Whether you're enjoying a quick lunch or hosting a large dinner party, you'll find everything you need at H&M. We have cutlery, dishes, and storage containers for your kitchen and dining room. And, we even carry serving dishes that are perfect for family meals. Canning is the perfect way to make the most of your harvest. We sell a wide selection of pickling spices and canning supplies from Ball.